David Bradley: David Bradley is one of the nation's most respected and well-known Native American artists whose work has inspired at least three generations of artists. "David's paintings address many contemporary issues that Native people are confronted with such as stereotypes and cultural appropriation," said nominator Della Warrior, director of the Museum of Indian Arts and Culture (MIAC) in Santa Fe. Bradley has lived in New Mexico for nearly 40 years since moving to Santa Fe to study art at the Institute of American Indian Arts (IAIA). In 2016 he was awarded an honorary doctorate at IAIA's spring commencement ceremonies. "His Native art activism has impacted federal and state policies that protect Native artists' authentic work," said Dr. Robert Martin, IAIA President, who noted that Bradley was instrumental in the establishment of the Indian Arts and Crafts Act of 1990. 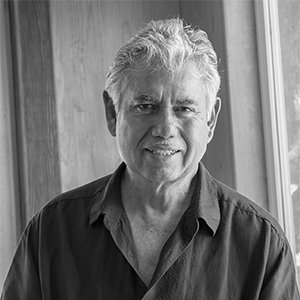 Bradley has received numerous awards and fellowships, and is the only artist to win the top awards in both the Fine Art categories of painting and sculpture at the Santa Fe Indian Market. MIAC recognized Bradley's excellence in artistic achievement with a solo retrospective exhibit in 2015. "The aura of his work is profound and a gift to the field of art," Warrior said. Nicholas Herrera: Nicholas Herrera is one of the most important folk artists in the United States, who has pioneered a folk art form with his more personal interpretations of traditional bultos and retablos, using wood and recycled metal, including salvaged automobile parts. Herrera has said: "Sometimes, I feel like I should have been born in the 1800s. I’ve got this feeling of the old days in me, like I'm feeling my ancestors, like I want to live like they did." 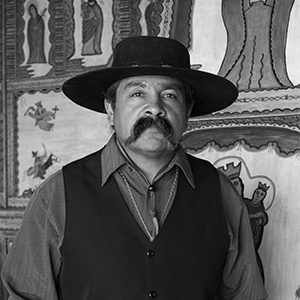 Tey Marianna Nunn, director and chief curator at the National Hispanic Cultural Center's Art Museum and Visual Arts Program, called Herrera "a trailblazing artist whose works are informed by the Traditional Colonial Santero practice of New Mexico, yet he has developed a style all his own—a style that while rooted in the past, directly addresses contemporary cultural issues." Herrera has been featured on NPR's Weekend Edition, and has received numerous awards, including the 2006 Award of Distinction from the Folk Art Society of America. His art is in the collection of more than 30 museums including the Smithsonian American Art Museum in Washington DC, the Museum of American Folk Art in New York City, and the Museum of International Folk Art in Santa Fe. 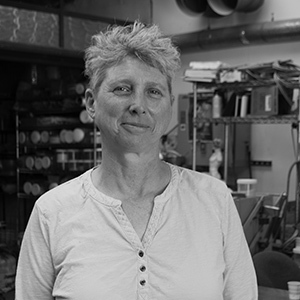 Elodie Holmes: Elodie Holmes is an internationally acclaimed artist of the contemporary glass movement who has spent more than 35 years honing her craft. "Elodie is a ballerina in the dance of glass," said Amy Summa, arts education coordinator for the Santa Fe Public Schools, whose late husband Henry was a renowned glass artist. "When so many glass blowers were suffering through the ups and downs of the economy, Elodie's business continued to flourish." In 2000, Holmes founded Baca Street Studios and the Baca Street Arts District. In 2004, she co-founded Prairie Dog Glass, a second instructional glass blowing studio where artists can learn, practice, and sell their work in a professional setting. "Holmes has developed a broad understanding of the technical aspects of working in glass and has parlayed this into pushing known techniques to new heights and directions," said art consultant Jane Sauer. "She has been fearless in seeking new ways to expand her chosen media." Holmes' glass pieces are showcased in hundreds of collections, including the White House Permanent Collection. "Elodie is one of those rare talents who not only creates her own work but also encourages, mentors and supports other artists," said John O'Hern of Santa Fe. Holmes' awards include the 2015 Glass Alliance—New Mexico Reflections Award. Felix López: Felix López, who grew up in the village of Santa Cruz, is one of the most accomplished artists of his generation, renowned as a leader and a teacher dedicated to preserving the traditions of Santeros and to inspiring others. López has won numerous awards, including the Masters Award for Lifetime Achievement from the Spanish Colonial Arts Society and a visual artist fellowship from the National Endowment for the Arts. "I see Felix as the quintessential New Mexican santero," said Robin Farwell Gavin, curator of the Museum of Spanish Colonial Art. "His art embodies those things that he holds dear and that have been core values for Nuevomexicanos for centuries." Tey Marianna Nunn, director and chief curator at the National Hispanic Cultural Center's Art Museum and Visual Arts Program, said of his work: "He makes his own pigments from natural sources and his masterful use of their color contributes greatly to the overall ethereal effect and appearance of his artworks". López's bultos and retablos are infused with spirit and energy. López said he has been richly blessed. "The meaning of the name 'Felix' is 'happy,'" López said. "I have not only found happiness. I have found faith and trust in God and meaning in my work as a santero. I will continue working for as long as I am able." 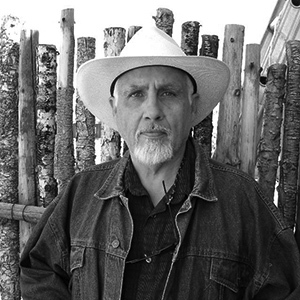 Jim Vogel: Jim Vogel is considered a storyteller with a paintbrush and is nationally recognized for his depictions of rural New Mexico. "He makes the almost ordinary, heroic, singular and noteworthy," said nominator John Gray of the Smithsonian National Museum of American History. "While there is a definitive realism, mostly of New Mexico, his stories transcend the ordinary." Vogel said he paints to tell the stories of New Mexico, "the stories told to me by my Grandfather, my Mother, my friends and neighbors of the Embudo Valley, and the land itself." 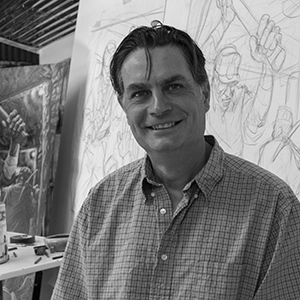 Growing up, Vogel was influenced by Southwest artists such as Peter Hurd, Luis Jimenez, and Georgia O'Keeffe. Vogel said: "I do not wait for the muse to strike. I have to go into the study every day and put pencil to paper, paint to canvas. If I don't have an idea, one will come as I draw." Eva Encinias-Sandoval, director of the National Institute of Flamenco, said when the institute lost its headquarters and 30 years of costumes and archival resources to a fire in 2013, Vogel created a piece and donated 100 limited edition giclée prints of La Resurrección, raising thousands of dollars to benefit their recovery efforts. "It is not only his art that makes Jim Vogel an exceptional New Mexican, but his generosity and love of our state's culture," she said. 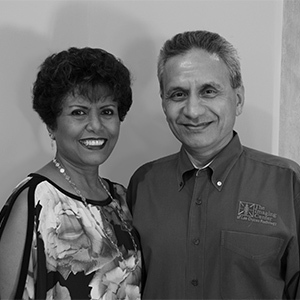 Dr. Rama and Ammu Devasthali: Dr. Rama and Ammu Devasthali are passionate supporters of the arts in southern New Mexico. "Their very generous donations of both time and money have helped create a level of community engagement in the arts that is unique," said nominator Donna Tate of Las Cruces. The Devasthalis are credited with raising millions of dollars for arts and culture in New Mexico through their leadership and advocacy. They created the Devasthali Family Foundation-Donor advised Fund in the Community Foundation of Southern New Mexico in 2011. Ammu Devasthali chaired the fundraising committee for the New Mexico State University (NMSU) Center for the Arts and the couple has taken the lead in raising private funds to rebuild Williams Hall which houses NMSU's Art Department. The Devasthalis have an unparalleled commitment to arts education, said Jennifer Cervantes, executive director of the Community Foundation of Southern New Mexico. "Through Rama and Ammu's exemplary engagement with and support of arts programs, the communities of New Mexico are stronger and lives have been transformed," Cervantes said. "They have made New Mexico a better place to live through their vision, compassion, and generosity." Michael Hurd: Michael Hurd is being recognized not only for his own impressive artistic achievements but for his vitally important work to preserve and enhance his family's legacy and historic property in New Mexico. The youngest son of Peter Hurd and Henriette Wyeth Hurd, Michael was born in Roswell and raised on the family's Sentinel Ranch in the Hondo Valley. 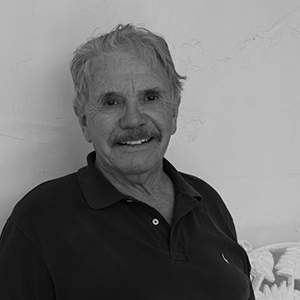 Hurd oversees the operations of the Sentinel Ranch and the Hurd-La Rinconada Gallery, which he designed and built. "He is a true Renaissance Man whose importance to New Mexico encourages viewers to be inspired by and to drink in the beauty and colors of his timeless works of art," said nominator Rep. Candy Spence Ezzell of Roswell. Hurd works from reality, as did all the Wyeth and Hurd painters. "The inspiration of his father's landscape scenes and the still life compositions of his mother are evident in his work," Ezzell said. "He doesn't refute his heritage or the effect it has had on his work, but Michael's style is distinctly his own." Gallery owner Nedra Metteucci said Hurd is "tireless and broad thinking in his pursuit of excellence for his own painting but also in his efforts to sustain the rich artistic heritage that his family has contributed to for generations. …His impeccable standards apply not only to his colorful array of paintings that capture the heart of New Mexico, but also to the arts community statewide, and he is sensitive to our museums, with a continual awareness for cultural preservation." New Mexico Magazine of Santa Fe: Founded in 1923 as the New Mexico Highway Journal, New Mexico Magazine is the oldest state magazine in the country. Today, as an arm of the New Mexico Tourism Department, New Mexico Magazine is a key promoter of the state's artistic assets and attractions, helping to drive tourism and build the New Mexico economy. New Mexico Magazine currently boasts an international circulation of 92,000, a total monthly readership of 240,000, and a combined print and digital audience of over 300,000. The archive of New Mexico Magazine includes a who's who of notable New Mexican writers, including Mabel Dodge Lujan, D.H. Lawrence, Rudolfo Anaya, Tony Hillerman and countless others. Renowned photographers such as Douglas Kent Hall and Jack Parsons have contributed to the magazine. 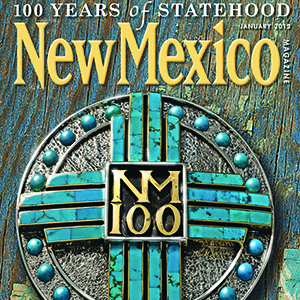 "Like the artistry it promotes, New Mexico Magazine is itself a dedicated work of art, the creation of countless staff members, past and present who, month after month, decade after decade, have ensured its delivery," Carmella Padilla said, calling the publication "one of our state's most esteemed artistic treasures." Coverage by New Mexico Magazine of its many festivals, artists and galleries has helped Silver City become known nationally as "one of the Best Small Arts Towns in America," said Faye McCalmont, the former longtime executive director of the Mimbres Region Arts Council.